Court is back in session as Capcom has announced an HD remake of the Phoenix Wright: Ace Attorney trilogy. The remake will be done for iPhone and iPad products, utilizing each product’s touch screen features like it did with the Nintendo DS. The Phoenix Wright: Ace Attorney trilogy of games deals with the law career of defense attorney Phoenix Wright from his first case in Phoenix Wright: Ace Attorney through the sequels Justice For All and Trials and Tribulations. There will be an app titled Phoenix Wright: Ace Attorney Trilogy HD that will be free to everyone and include a demo of the first two cases. The games themselves will be available for purchase individually or bundled. And that’s not all. Phoenix Wright: Ace Attorney Trilogy HD will also come with the “Everyone Object” mode (at no additional cost) to help players communicate their displeasure of everyday situations with the help of popular Ace Attorney characters and sayings. 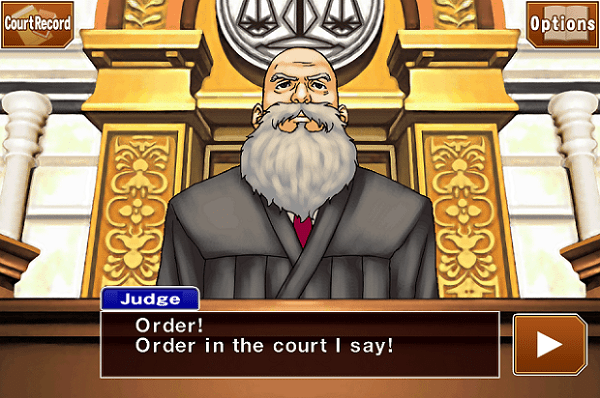 With a simple touch of a button, the phrases, “Objection!”, “Hold it!”, and “Take that!” can be emailed to friends or tweeted along with an animated image. “TAKE THAT!” I have evidence to prove that we should eat out tonight! 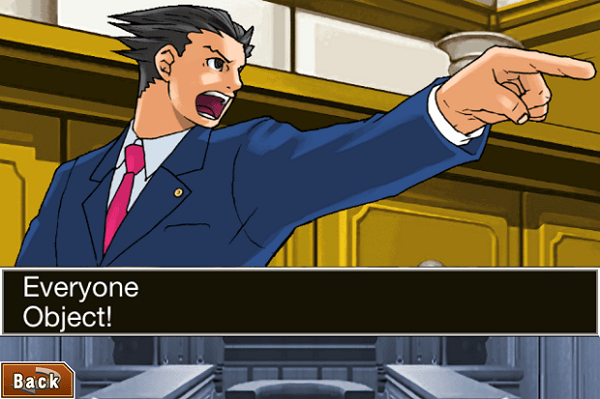 Phoenix Wright: Ace Attorney Trilogy HD will be available for iOS products in the fall. But if you can’t wait, you can still buy the non-HD trilogy games for Nintendo DS and WiiWare, as well as the Apollo Justice: Ace Attorney and Ace Attorney Investigations: Miles Edgeworth games for Nintendo DS.